Projections provide a large surface area for a strong welded joint. They have a collar pilot that assists alignment and prevents welding spatter from getting into threads. Weld nuts are made with a greater amount of material than other nuts so that the nuts form is maintained after being welded to another object. 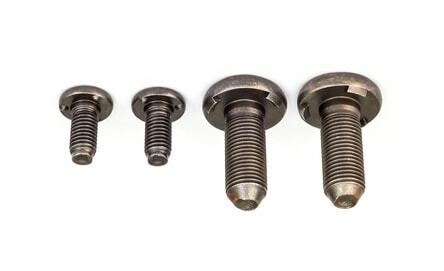 Weld Screws are designed to be welded onto a metal surface with a shaft remaining for items to be placed over and held in place with a nut and washer. Three projections located 120 degrees apart on the underside of the head eliminate the need for holes in the mating surface.